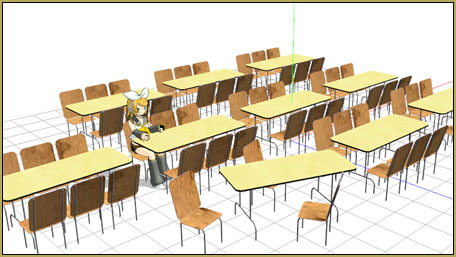 My school scene needs a cafeteria table and chair accessory. 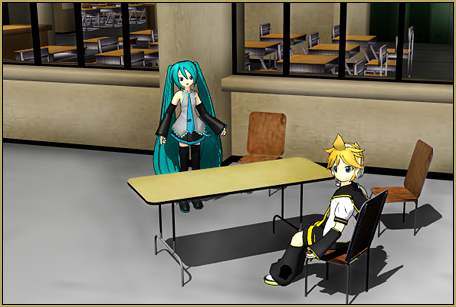 Where can I download an MMD cafeteria table and chairs? 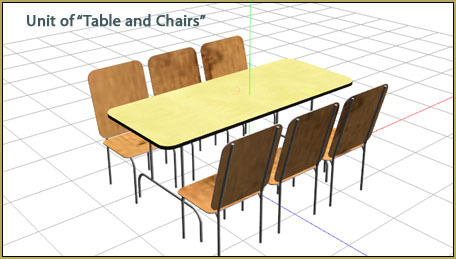 Reggie’s Cafeteria Table and Chair accessory! 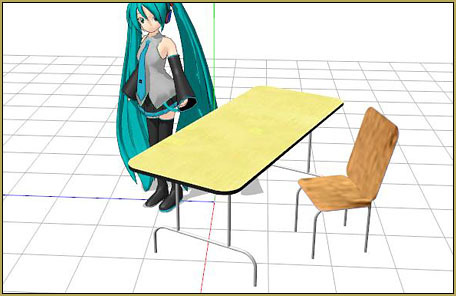 Download Reggie’s Cafeteria Table and Chair accessory from the LearnMMD.com Downloads page. 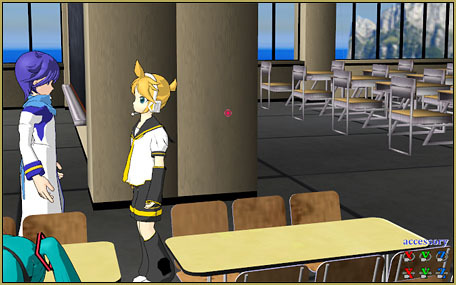 Adjust the Si size in the AMP to get the size that’s right for your models… I chose an Si of 1.2 for these scenes using the standard Miku and Len models.